Newcomers A Thousand Horses have released their debut single “Smoke” and their vocals alone make one long for more. Though this is my first exposure to A Thousand Horses, I already know that it won’t be my last. A song written about a toxic addiction, a woman that he just can’t let go of. Poisoning his life and his mind he can’t help but be enamored, can’t help but chase that high until he comes crashing down. He craves her after a bit of whiskey, craves her all the time even when he realizes “It’s killing me and I know, I can’t stop it once it starts.” “She’ll go floating around like a downtown ballroom gypsy” is exceptionally vivid imagery and my favorite line of the song. Excellently written and sonorously sung, “Smoke” is sure to create a hunger of its own, leaving what are sure to be legions of fans ravenous for more. 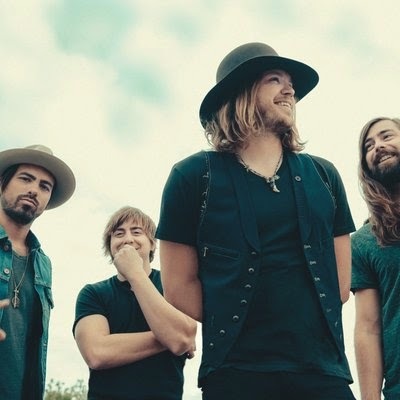 A Thousand Horses consists of venerable storytellers Michael Hobby, Bill Satcher, Graham Deloach and Zach Brown. Alas, it seems that their only published tour date is Valentine’s Day in Indianapolis at Bunker’s Life Fieldhouse. Hopefully, a tour is in the works and when it is, I can’t wait to see it. Editor Update 1/13/15: Announced last night on The Tonight Show with Jimmy Fallon, Darius Rucker has tapped A Thousand Horses as support on his Southern Style tour. Check www.dariusrucker.com for current listed dates.